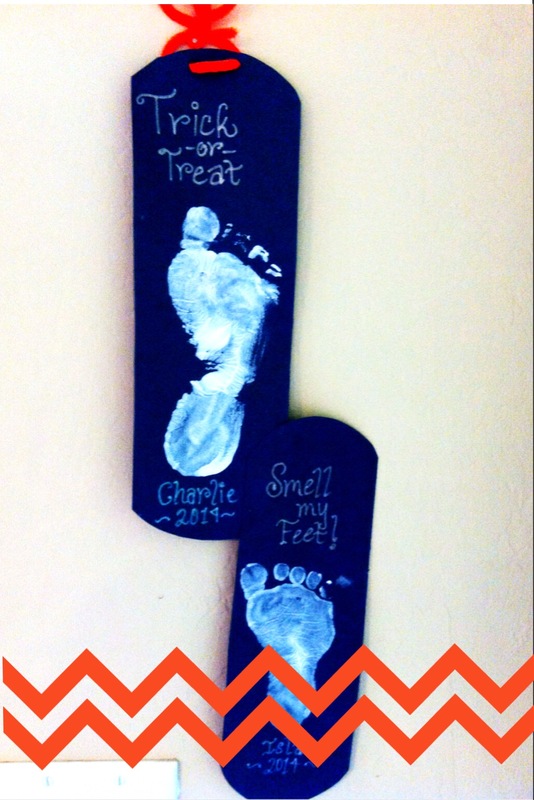 Cute Halloween footprint art for kids, toddlers and babies. It’s fun to see their foot size grow through art! Every holiday I like to do footprint art with the kids. It’s fun to see how their foot size changes through time. I don’t always get it done but this year I managed to pull off a Halloween craft! I did the basic footprint (Charlie’s is huge!) with white paint on black paper and then took them and made them into two different decorations. I have some work to do on my photography but I thought they came out pretty good! We also managed to carve a pumpkin last night and toast the pumpkin seeds…yum. We may be a little sick around our house but we’re trying to enjoy the holiday season!